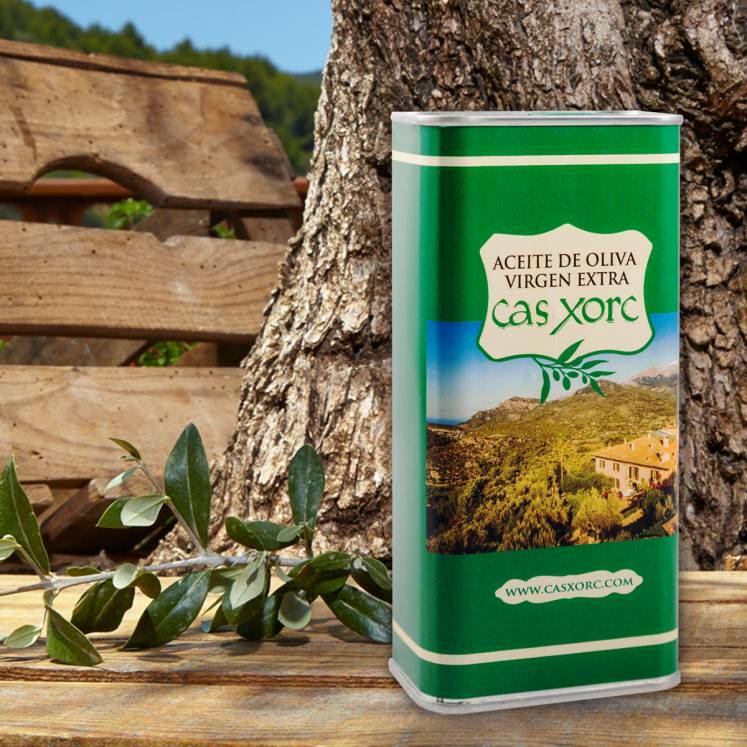 Olive oil Extra Virgen of the luxurious Hotel "Cas Xorc", in the mountains of the Tramuntana. The olive oil was produced directly from olives in mechanical processes only. The oil in the decorative tin with a picture of the Finca has a gentle-spicy taste. New harvest.